Our team has proven their capabilities by delivering complete solutions to high complexity operations ranging from ICCP retrofits, offshore class renewal surveys, hull repairs and more within time and budget, ensuring minimum downtime for clients. Built to process and store oil and gas from the redeveloped Schiehallion and Loyal fields in the UK North Sea, the FPSO Glen Lyon has a highly advanced turret system. 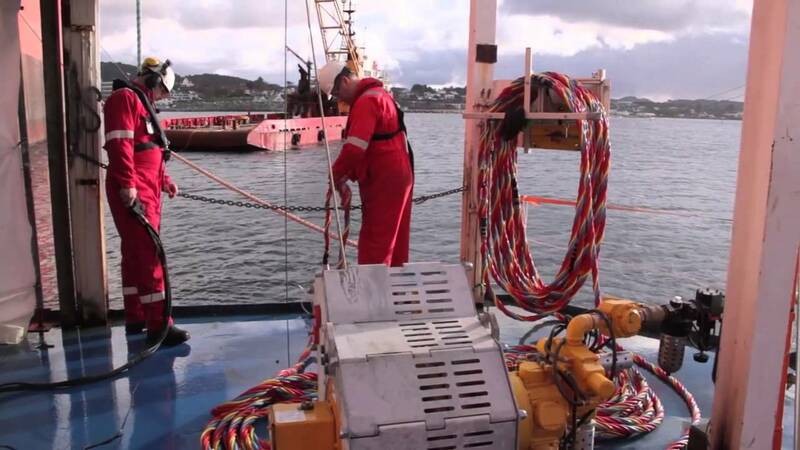 Otech Marine Services was contracted to develop procedures and task plans for the hook-up testing preparations including the works of removing all sea-fastening, necessary tests on the chain connectors, riser and turret system. The extensive BP pre-qualification process and a more than six months planning and engineering phase ensured a dynamic and well executed project. A series of impact damages to the pontoons hull structure under the waterline presented a real engineering challenge. Otech Marine Services was selected to deliver a complete turnkey repair solution with immediate start-up. With an already existing number of habitats available Otech designed, adapted and produced custom fitted habitat solutions to perform the works. With large amounts of simultaneous operations ongoing, more than 200 m2 of hull plating, stiffeners and structural class approved steel was replaced up to 10 meters under the waterline the project consisted of more than 15 000 engineering/manhours. Otech facilitate everything from identification to final repairs. Our leading position in the market for shallow water IMR services combined with our specially designed diving spreads and Light Living Crafts (LDC) allows for a unique way of planning, engineering, and executing operations. Chain, Riser & Turret Inspection & Modifications. 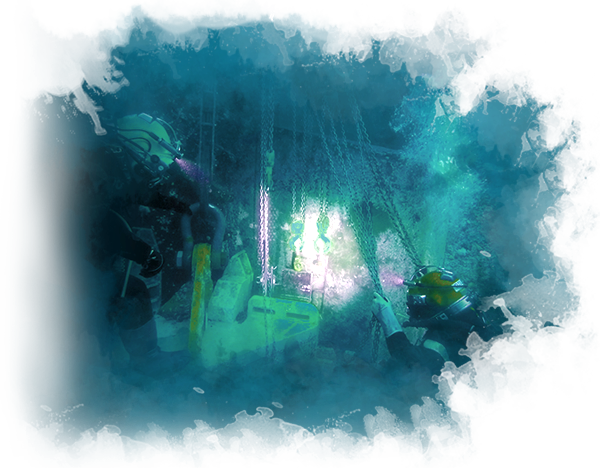 Maintenance & Repair of Subsea and Marine Systems. Pipeline or Cable Inspections & Repair. Offshore of the West African coast in Mauritania Otech Marine Services was contracted to perform a class renewal survey.. The FPSO Berge Helene had to complete a scope including inspection, cleaning, CP measurements and general IMR. Downtime or production stop was not an option and execution time was of high importance. 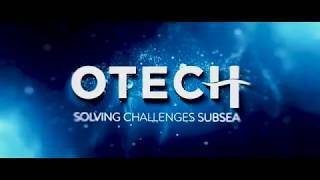 The Otech project team, consisting of technicians, dive supervisor, divers and engineers prepared the equipment and personnel mobilization utilizing the company`s resources both in Norway and Las Palmas. Our LDC vessel, designed for offshore operations, supported the crew during the operations, keeping our quality and safety standard. Otech Marine Services was contracted to perform a large amount of works during the 5 year class renewal of the Semi Submersible Rig Deepsea Atlantic. The challenge was to affect the Rig with the minimum amount of downtime. All required works needed to be completed within the 14 days yard stay including inspections, overhaul of overboard valves, replacement of two azimuth thrusters and design and production of sea chest covers and double barriers. 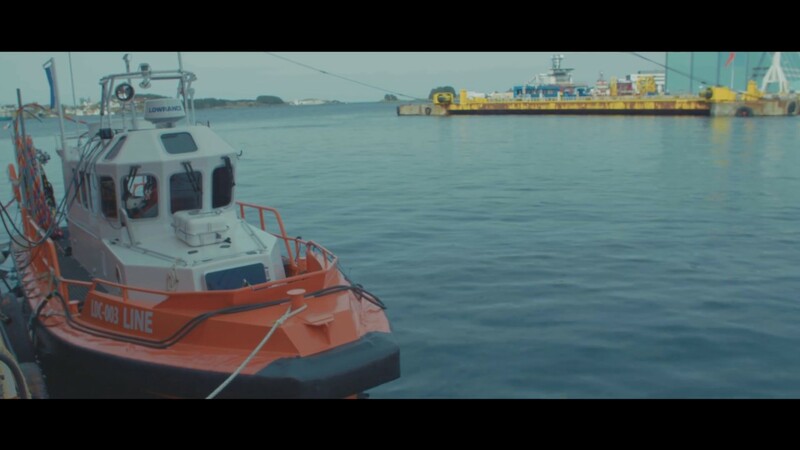 The project was one of the most compact and intense inshore diving projects ever completed in Norway counting more than 20 000 minutes of bottom time during its short duration of 12 days, and a real test of how efficient it is possible to perform a diving operation and the importance of high standard equipment. Our specialized team consist of employees with technical background from the largest manufacturers such as Rolls Royce (KaMeWa, Aquamaster, Ulstein), Wartsila (Lips) and Schottel and our capabilities include provision of project management, engineering and turn-key delivery of Azimuth thruster replacement and installation operations both offshore and inshore.Otech facilitate everything from identification to final repairs. 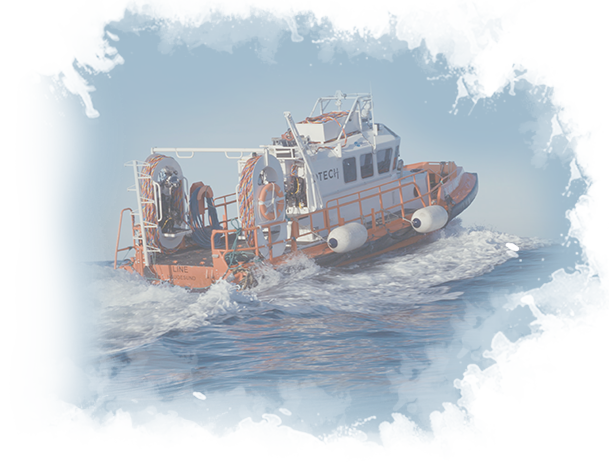 Our leading position in the market for shallow water IMR services combined with our specially designed diving spreads and Light Living Crafts (LDC) allows for a unique way of planning, engineering, and executing operations. Our unique Thruster Replacement Warranty provides customers the safety, quality and predictability needed to reduce their operational risk and increase returns for all stakeholders. Through our extensive track record of several hundred replacement projects worldwide customers can be sure that the whole operation, from internal mechanical work to diving operations is performed with excellence. The project represented a revisit to Leiv Eiriksson as many times before and added to the companys history of more than hundred thrusters replaced from all types such as KaMeWa, Ulstein, Wärtsilä, Aquamaster and more. The project was performed at Westcon Yard in Norway. The use of cofferdams and habitats is sometimes used to perform works situated under the waterline where repairs require dry conditions. Such solutions form a good alternative to dry-docking when maintenance and urgent repairs are required. 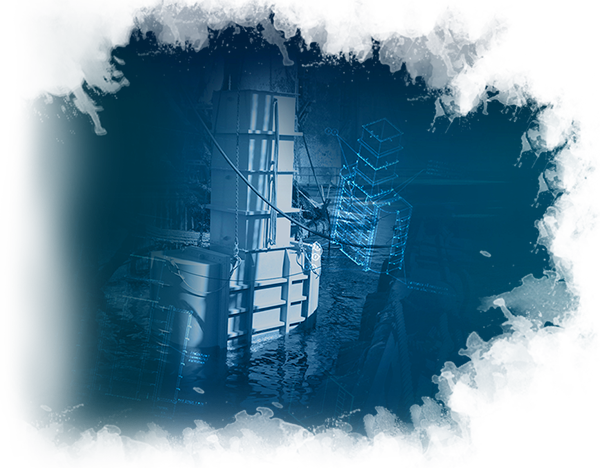 Otech has extensive track record of developing innovative solutions and water integrity barriers as well as major repairs such as hull damages, impact damages, crack repairs for semi-submersible oil rigs, floating production units, jack-ups and offshore installations. Our technical personnel are experienced in engineering and design with focus on rapid, easy installation and easy transport. Otech can provide project management, operational planning, engineering, mobilization/demobilization, vessels and have the overall responsibility to see the repair operations through from first inspection to completion. 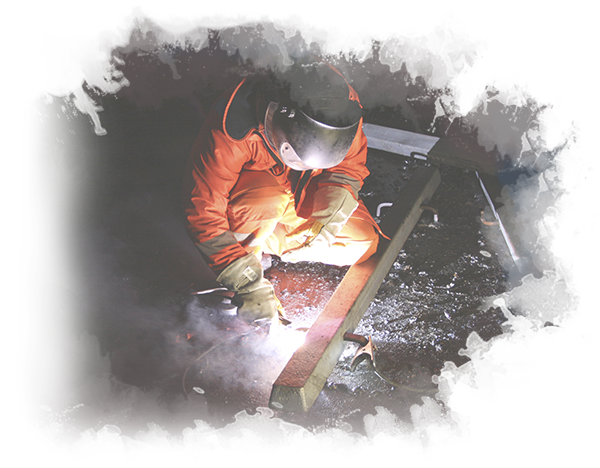 Otech is one of few specialists worldwide in retrofits of cathodic protection systems. A fully functional cathodic protection system is vital for protecting the submerged structure of any installation. Our ambitions to reduce client's overall maintenance costs has led us to develop specialized turn-key solutions for retrofits of submerged structures and lifetime extension upgrades converting sacrificial anode protection for ICCP systems. An Impressed Current Cathodic Protection system vs Sacrificial Cathodic Protection system provides a maintenance free diver or ROV friendly solution for up to 20 years, reducing maintenance costs for the owner by not having to replace submerged sacrificial anodes during any periodic surveys. In addition to routine operations during its SPS class renewal such as valve overhaul, thruster replacements and UWILD inspections, the Rig required to install a new cathodic protection system. Otech Marine Services was awarded the turn key project for the current sacrificial anode system to be replaced by a new Cathelco Impressed Current Cathodic Protection System. Initiating planning and procurement months prior to the planned mobilization date allowed for engineering and ICCP hardware to undergo a full-scale test as well as obtaining approvals from Class society for the scope of work. Electrical and piping works was performed during the transit of the vessel from Africa and once in location the final installation works including cofferdam installations, cutting of hull penetrations from inside ballast tanks and installation of the new cofferdams, anodes and control system was done. The project was completed before schedule in 24 days. Otech Marine Services was contracted to refurbish the ICCP system including Anodes and Reference cells of the Semi Submersible Rig Ocean Valiant. The system incorporated in the Rig was of older design by Wilson & Walton and the challenge was to perform all required refurbishment works afloat within yard stay schedule. The Clients strict policy required double barriers at all stages of the works and seamless coordination with simultaneous operations at yard. Otech handled all mechanical and dive related works including the preliminary study of system and possibility to safely replace anodes submerged. Turret and buoy mooring systems either integrated into an FPSO, FSO or SPM and permanently fixed to the seabed can present challenging environments for repairs and modifications. Being at the center of production and often with variables such as offloading operations, maintaining such assets, require unique planning. Otech provides services relating to engineering, preparations, repair and maintenance where conventional methods or water depth for WROW access is limited or hook-up testing and systems verification. Our strong competence from projects involving risers, chain connectors, bearing systems, fluid transfer systems allow for detailed planning and minimal operational impact when maintenance or repairs is required. Through high level operational procedures and innovation, we are able to deliver safe and effective services with no environmental impact.Through high level operational procedures and innovation, we are able to deliver safe and effective services with no environmental impact. The FPSO Knarr project included the installation of bend stiffener connectors to I-tubes as well as various inspections and verifications before moving to field. 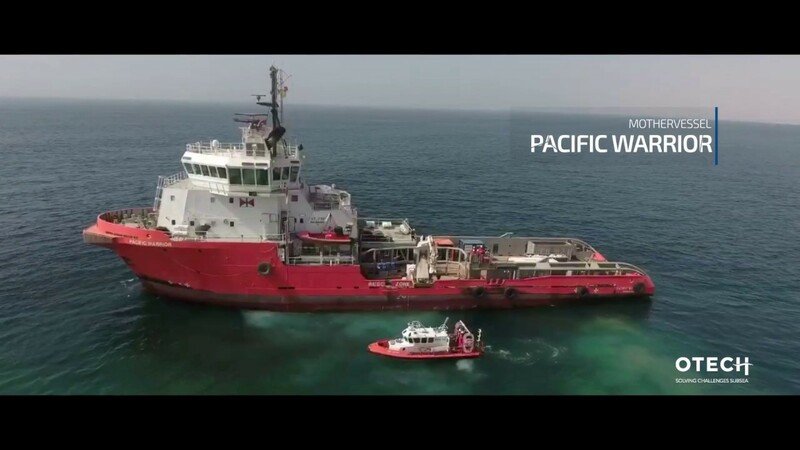 Otech Marine Services was contracted to perform the operation and assist in developing procedures and task plans for the installation including production of platforms and tools required. An intensive inspection scope and preparations was also performed by the Otech team. 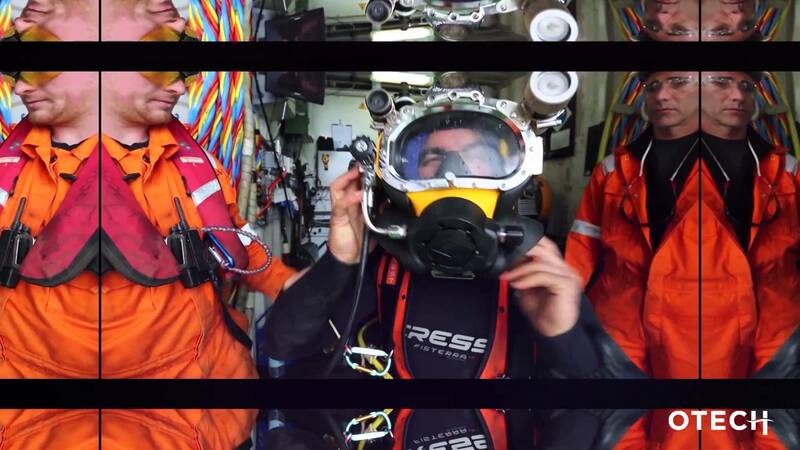 Due to harsh weather conditions and water temperature both nitrox gas mix and hot water suits were used to reduce operational time. Through a unique collaboration with Client this well executed project was completed according to their expectations and with the highest level of quality and safety. 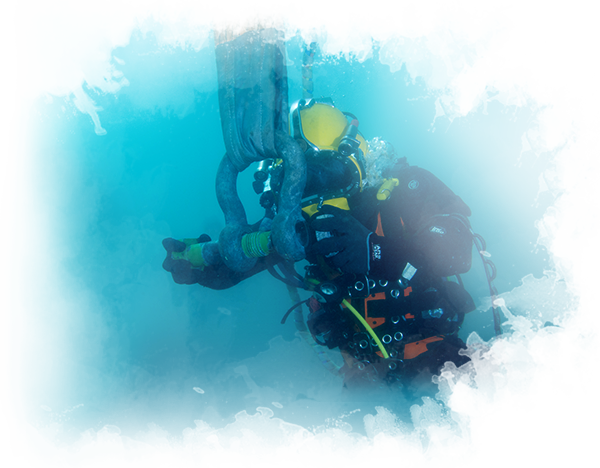 Otech provide emergency response, salvage and wreck removal services. The company has a track record of responding to distress situations in our operational regions and we care deeply about the environment where we operate. Our experience with salvage and wreck removal projects in navigation routes and port entry ensures a salvage team capable of delivering a full range of environmental care services, such as the locating of wrecks, removal and safe disposal of hazardous cargos and bunker fuels and planning and execution of wreck removals up to 500 tonnes. 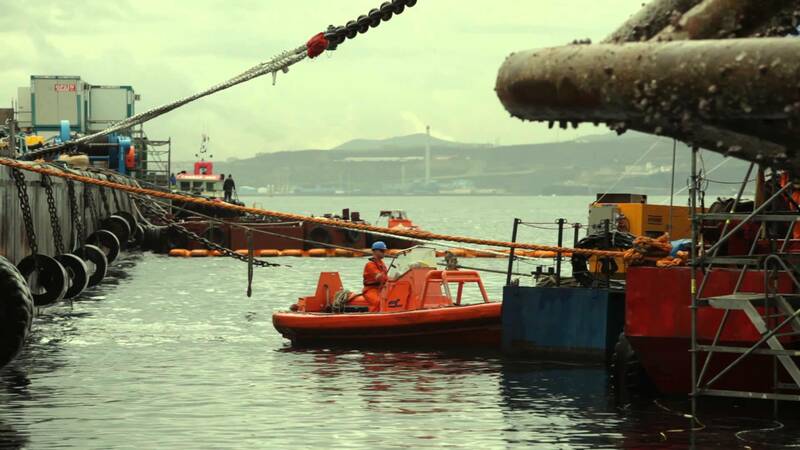 A fire lead to the sinking of the Russian fishing vessel “Oleg Naydenov” off the coast of Gran Canaria. The incident got large media attention as the vessel was carrying more than 1400 tons of fuel oil. The need for urgent response before the oil-spill started threatening the beaches of the well-known vacation paradise was the reason Otech Marine Services was contracted by Spanish Authorities to search for the vessel after its last known location and provide a multi beam survey and damage report. The vessel Grampian Surveyor was selected for the operation. 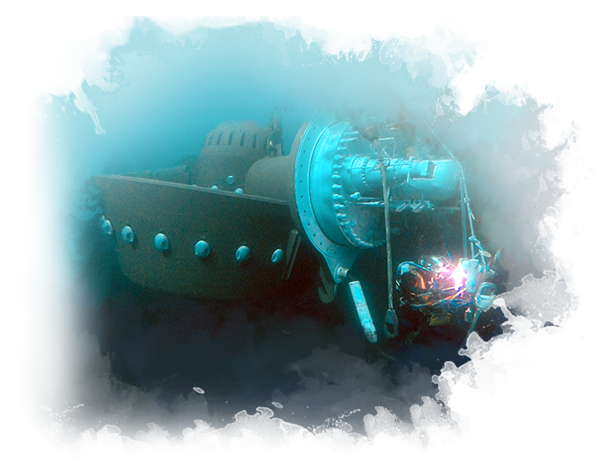 After locating the wreck at a depth of 2 700 meters Otech started the planning, engineering and production of contingency solutions. 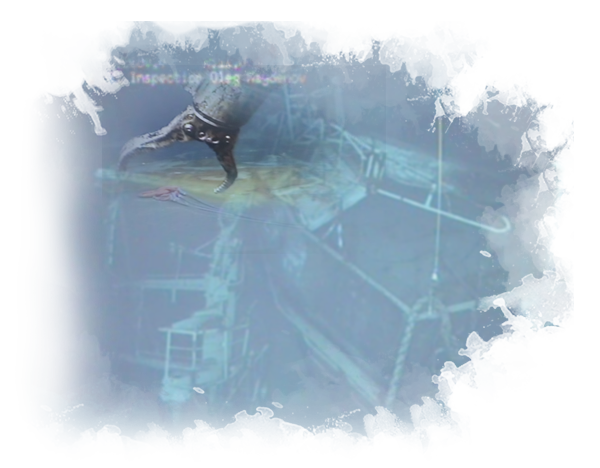 WROV was set install tools to reduce the environmental effects and prepare the wreck for access to perform oil recovery operation. 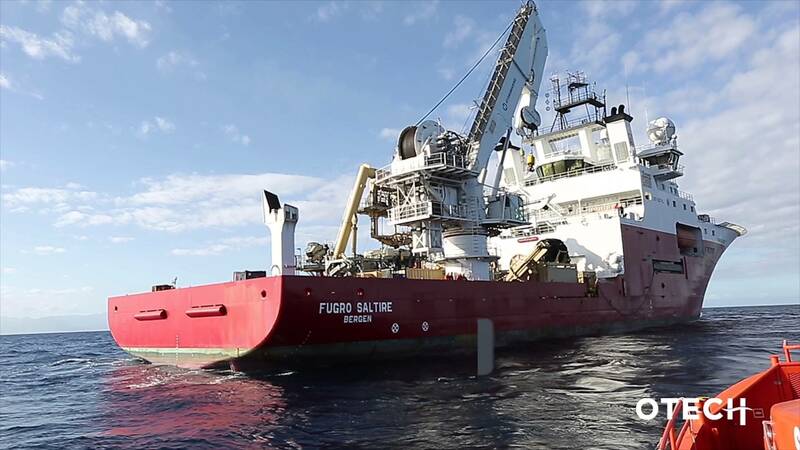 For this operation, the Grampian Surveyor was replaced by the larger subsea construction vessel Fugro Saltire.